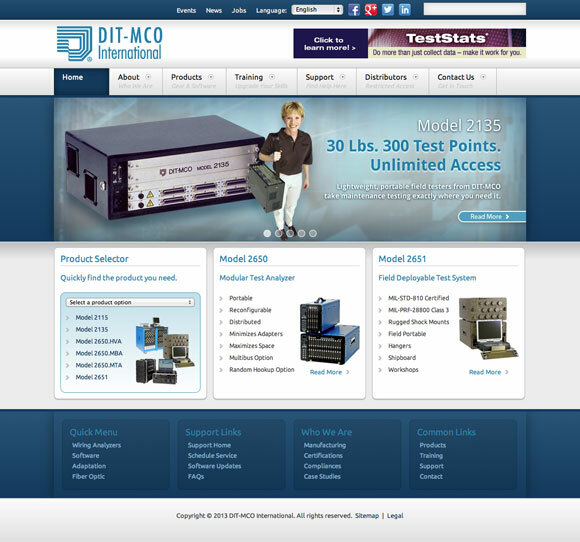 A multi-lingual product-focused Joomla 1.5 site built for DIT-MCO International. 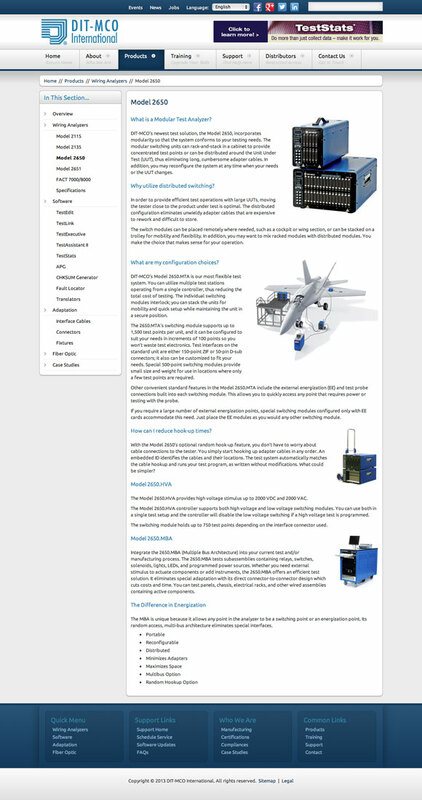 This site was a redesign and rebuild of their existing website that we built in 1999. The project leveraged ChronoForms, Unite Nivo Slider Pro, DOCman, JoomGallery, MaQma Helpdesk and more. Update: This site was replaced in 2015. Details on that effort can be found here.